What if you discovered that long ago your mother’s cells were harvested during surgical treatment for cancer without her knowledge, and that since that day, her cells have become “immortal” – growing in labs across the world? You learn that her cells spawned a multimillion dollar industry of which your family has never received a dime! How would you feel? What are the issues for family? For patients now? Are we as vulnerable today? What regulations protect scientists, physicians and patients as society advances scientific research using human subjects? Who has rights to our blood, tissues and cells whenever samples are taken in the course of treatment? The UWF Office of Research and Sponsored Programs sponsored a two-part book study exploring these issues and others through the compelling story of Henrietta Lacks—brilliantly researched and written by Rebecca Skloot in The Immortal Life of Henrietta Lacks. The story and legacy of Henrietta Lacks speaks to all scientists, researchers, historians, educators, psychologists, doctors, lawyers, sociologists, humanitarians, parents, and children. The message from Henrietta’s story for all of us is the basic responsibility of all human beings to respect, honor, and defend the rights of others and ourselves. The protection of human beings from harm (physical, psychological, social, political, educational, and human) is the charge and responsibility of every person. For many the experience opened a door to the discipline of research conduct which is under increased scrutiny by the government and public. The Immortal Life of Henrietta Lacks tells a riveting story of the collision between ethics, race, and medicine; of scientific discovery and faith healing; and of a daughter consumed with questions about the mother she never knew. It’s a story inextricably connected to the dark history of experimentation on African Americans, the birth of bioethics, and the legal battles over whether we control the stuff we’re made of. With more “eyes” looking, researchers are under pressure to make sure their research protocols, documentation, and public communications are sound and follow research standards. 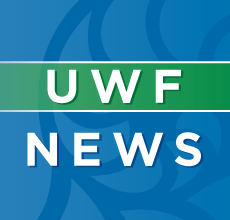 Institutions like UWF have increased training and vigilance to ensure research integrity is maintained with high standards on our campus. 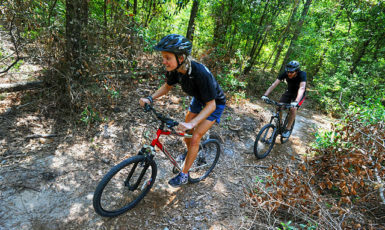 See UWF Research Integrity. Cheryl Allen, Research Integrity Coordinator at the The Office of Research and Sponsored Programs will organize another book study in 2012-13 on current issues in research integrity for faculty, staff and students. Contact her for more information or to make suggestions for topics to study. Additional webinar resources archived and live – The Henrietta Lacks Series – have been organized by San Diego State University and a consortium of HE institutions. You can register for the series here.